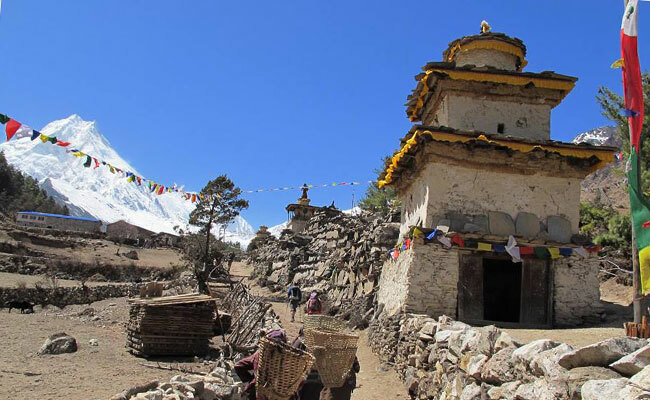 Manaslu Larkye Pass trekking is located Mount Manaslu, which is the northern part of Nepal. 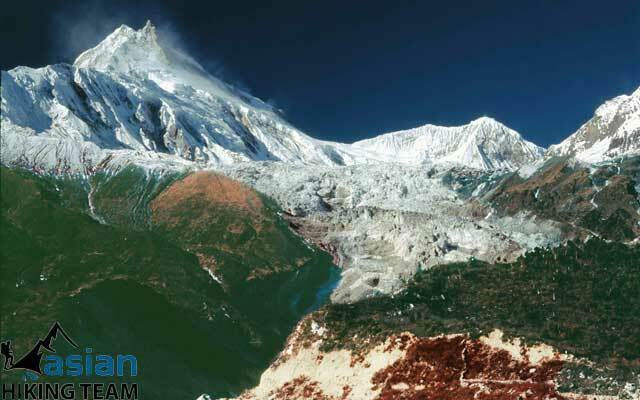 The named Manaslu is known as the peak of Mt. Manaslu 8163 meters, eighth highest peak in the world. Larkya Pass 5213 meter high is laying down the feather of mount Manaslu. Manaslu Lucy pass or Manaslu circuit is in Gorkha district, legendary Gorkha soldiers. After the Larky passes the trails, catch Annapurna conservation area in Dharapani, which is the Manang district of Nepal. Opened in 1992, Manaslu area offers a combination of rich culture heritage, unsurpassed beauty, and biological diversity. 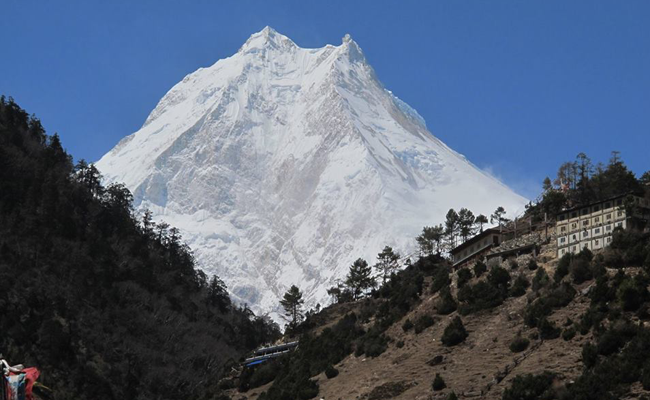 Special permits are requiring visiting upper Manaslu trekking. The permit cost US$ 70 per week per person in September to November season, if more than one week per day US$ 10 per person and US$ 50 per week per person in other season and if more than one week per day US$ 7 per person. 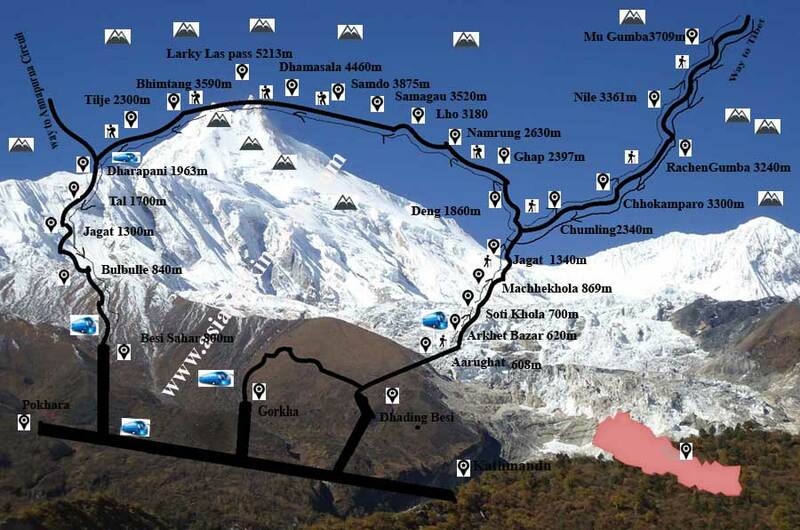 It is also required Annapurna Conservation and Manaslu Conservation permit US$ 22 per person per entry respectively. 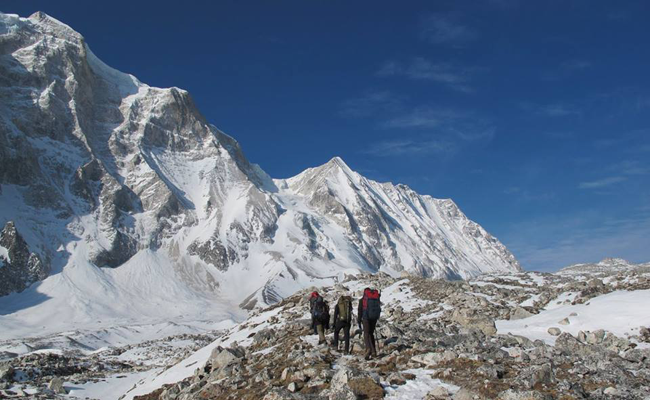 Measured as one of the toughest trekking in Nepal so requires a good experience of trekking and a superior physical condition, the Manaslu Circuit treks or Larke pass trekking will reward the adventurous with an unparalleled alpine experience. Some of support calls Tatopani (natural Hot Spring), Lho, Samdo Gau, Samdo, and Larky Bazaar are attention to visit for real culture, real life and unexpected variety. There are basic tea houses / guest houses are possible for small groups or individuals. However, every year building new hotels and restaurants as tourist interest and aspiration. Private rooms are available in most guest houses/ Lodge. Most bathrooms are shared. In the high pass base camp call Dharmasal or Larky phedi has a basic tea house or tented house. Every Guest house serves the traditional Nepali meal Dal Bhat (rice, curry and lentil soup). All Guest Houses of our routes have a variety of different food items, such as rice, vegetables, noodles, potatoes and soup. Many of them have western food on the menu. Soft drinks, snacks, wine, bottle of mineral water and beer are available in most of the guest houses and trail side restaurants. Originally, Manaslu trek starts from Gorkha Bazaar, where the King Pirthivi Narayan Shaha born “the founder of Nepal”, interest to visit his palace and Kalika Temple, but now a day the seasonal road drive to Aarughat or continues for Sotikhola, 2-3 days trekking from Gorkha. It takes be 6/7 hours drives from Kathmandu to Aarughat and one hour drive to Sotikhola. Trekking trails follow the Budi Gandaki River all the way to Dharmashala, the last spot before the pass and Larkye La 5213m with attractive views of Himalchuli, Manaslu 8118m, Ganesh Himal, Singi Himal and other mountains, beautiful varied landscape and different flora and fauna. The trek is caught in Dharapani where is Annapurna conservation area, walk down to Besi Sahar or possible seasonable Jeep drive. 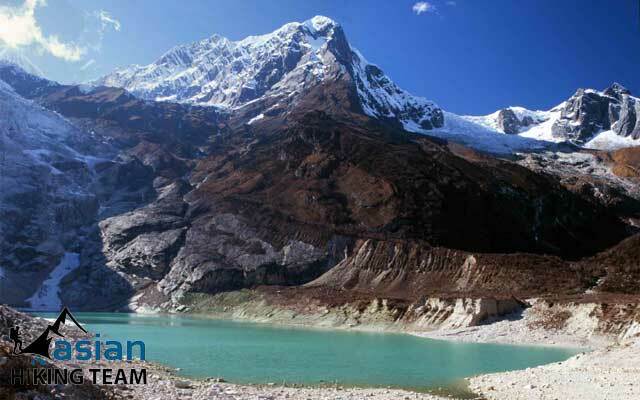 It is also opportunities continue trekking to Annapurna Circuit and end your trek in Pokhara. 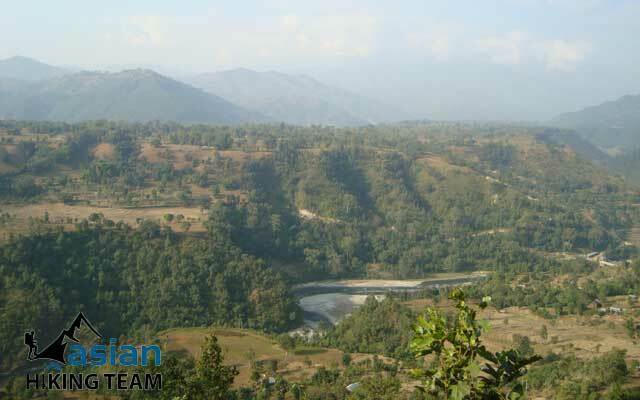 Asian Hiking Team organizes Manslu trekking as full board camping or Guest houses or home stay trek as client’s request. 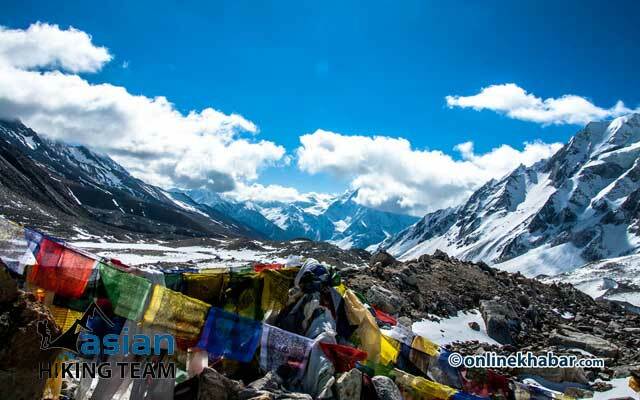 Our guides have many years of guiding experience in Manaslu region. Many of our guides originally came from that area. Our guides are trained in first aid and know how to handle any situation. We need to provide guides who can get people to feel involved in what they are experiencing, explain it thoroughly and keep them entertained. 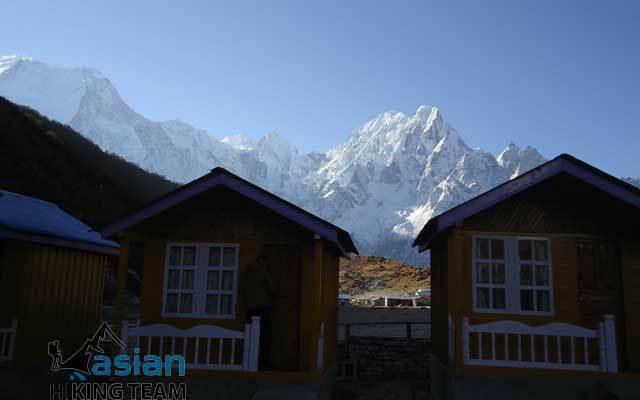 They know very well how to facilitate running smooth and safe trip appreciating the beauty of the Manaslu Himalayas. Our porter carries 25 to 30 KG. Their first hand experience, local knowledge, expertise and humor on treks are invaluable. Day 01: Arrive Kathmandu; meet our staff transfers to Hotel, overnight Hotel (B). Day 02: Kathmandu final preparation for trekking with guide city tour, Overnight Hotel (BB). Day 03: Kathmandu to Aarkhet Bazaar (620m), or Soti Khola by Jeep/ Local Bus 6 -9 hours, overnight hotel (B/L/D). Day 04: Aarkhet/Sotikhola to Machhekhola (870m), 5-6 hours, Overnight Lodge /Tea house (B/L/D). Day 05: MachheKhola to Jagat (1340m), 5-6 hours, Overnight Lodge /Tea house (B/L/D). Day 06: Jagat to Deng (1860m), 5-6 hours, Overnight Lodge /Tea house (B/L/D). Day 07: Deng to Namrung (2630m), 5-6 hours 2300m, Overnight hotel (B/L/D). Day 08: Namrung to Lho (3180m), 4-6 hours, Overnight hotel (B/L/D). Day 09: Lho to Samagaou (3360m), 4-5 hours, Overnight hotel (B/L/D). Day 10: Acclimatization rest day in Samagaou, Overnight Lodge /Tea house (B/L/D). Day 11: Trek from Samagaon to Samdo (3690m), 4-5 hours, takes about four hours Overnight Lodge /Tea house (B/L/D). Day 12: Trek from Samdo to Larkya La Phedi (4460m) 4-5 hours, Overnight Lodge /Tea house (B/L/D). Day 13: Trek from Larkya La Phedi to Larkya La (Pass) (5135m.) to Bimthang (3590m), 8-10 hours, Overnight Lodge (B/L/D). Day 14: Bhimtang to Tilije 2360m, Overnight Lodge (B/L/D). Day 15: Tilije to Tal (1700m), 5-6 hours, Overnight Lodge (B/L/D). Day 16: Tal to Besi Sahar (800m) by jeep or bus, Overnight Lodge /Hotel (B/L/D). Day 17: Besi Sahar to Kathmandu drive by tourist coach 4/5 hours, Overnight Hotel (B/L). Day 18: Departure from Nepal or next trip (B). Note: All Accommodation during the trekking is by tented camp or basic Tea house, if you want continues trekking in Annapurna Circuit also possible. As well as continues trekking to Basi Sahar also possible with in one extra day. BB- Bed and breakfast, B/L/D - Bed-breakfast, Lunch, and Dinner. Spring/Others Season - US$ 999 per person. Kathmandu to Aarkhet/SotiKhola by Local Bus. Besi Sahar to Kathmandu by Mini bus. Accommodation in Kathmandu as itinerary 2-3 star hotel with breakfast. All accommodation with Breakfast during the trekking as itinerary. Manaslu Special Permit for One week. Accommodation, meals, salary, equipment, transportation & Insurance of Asian Hiking Team Guide. Entrance fees in durbar Square or Temple in Kathmandu and Pokhara. Personal trekking gears & clothing. All land transportation (Airport /Hotel/Airport by private & Trekking starting and ending point by local bus). Hotel accommodation in Kathmandu as itinerary 3 star hotel with breakfast if your own choice let us know. Accommodation during the trekking as best available Tea house / Hotel. Manaslu Conservation fees - permits/ Fees. Cargos fees, load up load to/from fees. Soft/hard drinks, Drinking water, Tea/ coffee in Lunch & Dinner time during trek. Hot shower, internet & electricity bills during trek. Entrance fees in Temple or Durbar Square in Kathmandu. Upon your arrival at the Tribhuvan International airport, Asian Hiking Team representative welcomes you and assists to transfer hotel in Kathmandu. Kathmand; a historical and cultural heart of Nepal, is a popular destination for tourists, trekkers and adventure seekers. The city presents a wonderful mixture of Hinduism, Tibetan Buddhism and Western influence in the Valley. After breakfast at the hotel you will be leave for full day sightseeing tour to the world heritage sites in Kathmandu valley with English speaking city tour guide by private vehicle. You will be transfer to the pilgrimage sites of the Hindus temple Pashupatinath, one of the most important shrines of Shiva. Thousands of devotees, Saddhus (holy men/Baba) are surrounded here, and you can see the cremating system of the Hindus most of the times in the holy riverbank of Bagmati. Hundreds of monkeys are giggling with you and take a time to exploring surrounding areas. After visit Pashupatinath you will be transfer to the Bouddhanath stupa a pilgrimage centre which is the most popular and important place for Buddhist. You can explore with rounding prayer wheel and flattering colorful flag with melodious chanting noise. After your lunch at Bouddhanath visit another important place for Buddhist, Swoyambhunath stupa; also known as monkey temple covering wide range of area with highest point of Kathmandu valley and enjoy the 360 degrees of valley view. After exploring this spot you will transfer to Kathmandu Durbar Square which is the old royal palace of Kathmandu and can be seen lot of temple, Nepali traditional architectures and another attraction of this place is the Kumari (the living goddess). After finished your sightseeing trip you will be transferred to your hotel for overnight stay. Day 03: Kathmandu to Aarkhet Bazaar (620m), or Sotikhola by Jeep/ Local Bus 6 -9 hours, overnight hotel (B/L/D). Early morning drive over Prithivi High way till to Malekhu Pul and turn right hand side to Dhading Besi (district headquarter of Dhading); continues drive off road to Salentar and Aarughat Bazar. It takes you 6 to 8 hours drives and we have lunch on the way. 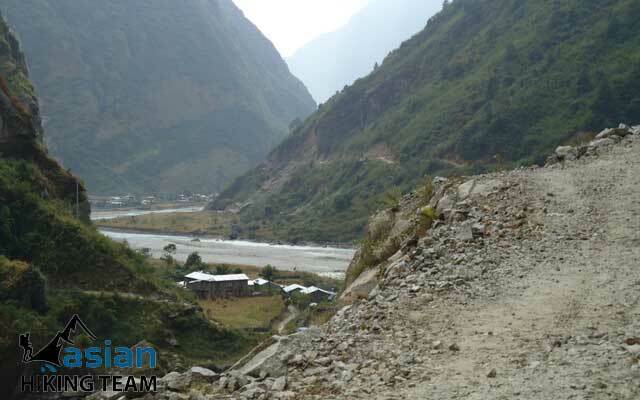 Aarughat is one of the famous shopping junctions for Manaslu Gorkha and Dhading’s remote villagers continue drive to Aarkhet Bazaar half an hours, if you are doing trekking in autumn or spring season there is possible direct bus to Aarkhet Bazar. It is also possible direct drive to Sotikhola on same days within half hour, overnight in Lodge. Day 04: Aarkhet/Sotikhola to Machhekhola (870m), 5-6 hours, Overnight Lodge /Guest House (B/L/D). After breakfast, walking flat area, following the Budi Gandaki river, climbing briefly to Kyoropani, path descends once again to the river at the confluence with the tributary of Soti Khola 1000m. The country changes, the broad valley narrows and at times the trail is cut into the steep valley side, which is densely forested. We pass a number of small villages, tucked into the hillside, until we reach a widening of the valley, opposite the point where a large tributary stream enters the Buri Gandaki. The terraced farmland here belongs to the village of Lapu Besi. Treks descend once again to the wide, sandy riverbed and follow a path, which runs below the steep, craggy valley side. At length, we have to climb up once again on a trail to Machhekhaola 870m,Machhekhola means "Fish stream", overnight at Guest House 5 hours. Day 05: MachheKhola to Jagat (1340m), 5-6 hours, Overnight Lodge /Guest House (B/L/D). We cross the MachheKhola , head upstream to the tiny village of Khorla Bensi and the hot springs at Tatopani . The valley sides steepen until they are impassable and the route then switches to the left bank by way of a suspension bridge. The trail is quite exposed and challenging in places. After a short section of forest path we reach the single Guest House at Doban. Above Doban, the Buri Gandaki descends an impressive series of rapids. Beyond this steep section, the river is much more placid, meandering across a broad gravel bed. At Lauri, we re-cross the river on a suspension bridge and then climb on a high path to the fields of Jagat 1340m, where we stay in Guest House, 5 hours. Day 06: Jagat to Deng (1860m), 5-6 hours, Overnight Lodge /Guest House (B/L/D). Jaget have check post of your special trekking permits. After descending a long series of stone steps to the river, treks climb a terraced hill to Salleri, from where we can see the impressive Sringi Himal 7187m. Crossing Buri Gandaki River again at Gatte Khola, our route continues upstream, through a gorge section with towering walls. We cross the river three more times in the next two hours to avoid difficult valley sides and then climb up over a further steep spur to cross Philim – Ekle Bhatti, Nyak then reach the village of Deng 1860m, where we overnight lodge, 5 hours. Day 07: Deng to Namrung (2630m), 5-6 hours 2300m, Overnight Lodge /Guest House (B/L/D). The valley is still steep- sided and most impressive. We cross to the village of Lana, and start to see Mani stones, a sure signs that we are entering high country Buddhist regions. After only about four hours we reach at the village of Ghap, which straddles the river. We have entered the Tibetan areas and the cultural change is obvious, and the climate change is also obvious the trekking is pleasantly cool now. We gain altitude to take us into alpine territory and increasing mountain views. There are more Mani walls after Ghap and 3 more crossing of the Budi Gandaki on our route to Namrung (2630m), overnight at lodge. Day 08: Namrung to Lho (3180m), 4 hours, Overnight Lodge /Guest House (B/L/D). Today is short day in our trekking because there are so magnificent views on the way to Lho. After breakfast start trekking pass Lihi cross Hinang river and climb to Sho then gradually up a large village at 3150m where there is a lovely little monastery and numerous Chortens and Manis call Lho village. Looking back Ganesh I is visible. Overnight in Guest House. Day 09: Lho to Samagaou (3520m), 4-5 hours, Overnight Lodge /Guest House (B/L/D). After breakfast, leaving the village of Lhogau, you follow the right bank of the river, with views of Peak 29 ahead. We follow the right bank of the river, with views of Peak 29 ahead. At a fork in the trail, we take a detour to the left, which leads up to Honsansho Gompa and the Punggen Glaciers, from where there is a stunning view of Peak 29 and Manaslu. As you continue on the main trail, you soon reach the fields of Sama Gaon, 3520m, 4-5 hours, overnight hotel/ guest house. Day 10: Acclimatization rest day in Samagaou, Overnight Lodge /Guest House (B/L/D). This is a day for rest at Samagaon to give you some acclimatization. Surrounded by mountains in a peaceful forest, you take a breather to acclimatize and relax. You can hike to Manaslu Base Camp for excellent views of Samdo (Pang phuchuli); Nagdi chuli, Simnang Himal, Manaslu glacier, Manaslu ice fall and you can see Birendra Kunda which is an ice lake nearby the Manaslu Base Camp. You can talk with your guide and decide because we do not know what you want and how your situation at that time. Stay overnight at Lodge/Hotel. Day 11: Trek from Samagaon to Samdo (3690m), 4-5 hours, takes about four hours Overnight Lodge /Guest House (B/L/D). You trek gently uphill all the way to Samdo through a desert path and windy valley. The Tibetan border is just four kilometers away from Samdo, but visitors are not allowed to pass the border. There is a Tibetan refugee village at Samdo. This is an excellent view point for Mt. Manaslu, Samdo (Pang phuchuli), Nagdi chuli, Sonam Himal, Manaslu glacier, Manaslu ice fall and several other majestic peals. Stay overnight at Lodge in Samdo (3690m). Day 12: Trek from Samdo to Larkya La Phedi (4460m) 4-5 hours, Overnight Lodge /Guest House (B/L/D). Dharmashala or Larkya Phedi takes about 4/5 hours. The trail is rocky and zigzags all the way to your destination. Before you reach Larkya Phedi, there is a market called Larkya Bazaar (market) where seasonal fairs are held for the local folks. People bring goods from Tibet to sell it here. Stay overnight at Tea house in Dharmasala. Day 13: Trek from Larkya La Phedi to Larkya La (Pass) (5135m.) to Bimthang (3590m), 8-10 hours, Overnight Lodge /Guest House (B/L/D). It takes about 8/10 hours. Early in the morning you begin to trek a steep ascending path until Larkya La through a rocky and windy trail. Today you carry a packed lunch. From the top, you can enjoy the views of Larke peak, sunrise at Mt. Manaslu, Ratna chuli, Cheo Himal and many other snow capped mountains and peaks. Crossing this pass, you hike to a steep downhill path through rock and ice. On the way, you will encounter many icy lakes. We recommend you careful going down. Bimthang is a broad and level ablation valley with a number of Mani walls and deserted houses. Stay overnight at Guest house in Bimthang (3590m) 8-10 hours trekking. Day 14: Bhimtang to Tilije 2360m, 6-7 hours, Overnight Lodge /Guest House (B/L/D). Trek from Bimthang to Tillje takes about six to seven hours. Crossing this high pasture, you descend the valley of the Purdin Khola to the area of the Base Camp for the West side of Manaslu. From a ridge at 4150 meter, you have excellent views of Manaslu to the South East and Annapurna II to the South West. Beyond a bridge over the headwaters of the Dudh Khola, you descend into a rhododendron forest and follow a trail through a narrow valley until you reach the highest cultivated land in this valley at Karche, 2785 meter. Walking down you cross a stream to reach Tilje. Here is an apple orchard which is quite famous for local wine, overnight at Guest house. Day 15: Tilije to Tal (1700m), 5-6 hours, Overnight Lodge /Guest House (B/L/D). Leaving Tilje, you trek uphill for nearly 45 minutes to reach Dharapani crossing a bridge over the Marshyangdi River. Check out the Manaslu special permit and continues walk Annapurna trail to Katre (Khotro) continues to Tal village which is very nice village in Marshyndi valley, Stay overnight at Guest, 5-6 hours trekking. Today we take Jeep to Besi Sahar 800m, 4-6 hours drive by local Jeep or bus. Cross the Marshyandi River catch the Jeep drive to Besi Sahar. If you are interest to walk all the way to Basi Sahar also Possible but you need to follow road so that we recommend to take Jeep to Basi Sahar. If you walk all the way to Shyange (1100m), 5-6 hours and next day directly drive to Kathmandu 7-8 hours, overnight at hotel. There are server bus or Micro bus service from Besi Sahar to Kathmandu every hour until 2-3 pm so that we will take bus 8-9 am so your breakfast at 7 am and take a bus to Kathmandu. Its take 5-6 hours drive, stop for lunch on the way. Arrive in Balaju Bus Park, transfer to Hotel in Kathmandu or Pokhara, Overnight in Hotel. Day 18: Departure from Nepal or next trip (BB). Today is last day in your itinerary, last minute shopping for souvenirs or gift to your family, friends or relatives until your departure flight/drive or to commence any extra trips or activities you may have booked with us. If departing, Asian Hiking Team staffs will be transferred to the international Airport for your departure flight schedule to your onward destination or next trip. Note: All Accommodation during the trekking is by Guest house or Lodge, if clients require we will provide tented camp. If you want continues trekking in Annapurna Circuit also possible. As well as continues trekking to Basi Sahar also possible with in one extra day. The itinerary subject to change as your interest and time frame. The Special permit cost per person US$ 70 from Sep. to Nov. and US$ 50 from Dec. to Aug. per week and Manaslu Conservation fees NRS 2000 and Annapurna Conservation Fees NRS 2000 per person per enty. passport, Cash, credit card etc.